Scion Air Suspension Kit. Aftermarket Air Suspension for Scion FRS, tC, xA, xB & xD. 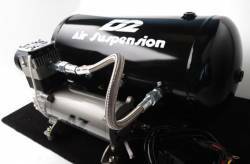 Choose from Scion Air Suspension Kits by Air Lift, D2 Racing, K Sport & More. Scion Air Suspension allows for the Ultimate in Ride Height & Adjustability. Scion Coilovers. Aftermarket Coilovers for Scion FRS, iQ, tC, xA, xB & xD. Scion Adjustable Coilovers are both Height & Dampening Adjustable. Choose from Scion Coilovers by B&G, BC Racing, D2 Racing, Eibach, K Sport, Tanabe, Tein & More. 13-15 Scion FRS Air Suspension Kits. Scion FR-S Air Suspension Kits from Air Lift, D2 Racing, K Sport and others. Air Suspension Kits for Scion FRS are 100% Bolt-On systems for those looking for complete control over drop and ride on the fly! 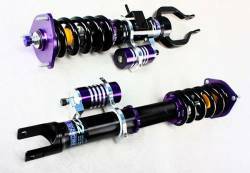 2016 Scion iM Coilovers by K Sport, D2 Racing, BC Racing & More! Scion Lowering Springs. 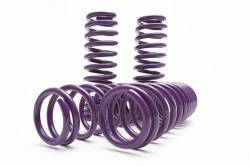 Aftermarket Lowering Springs for Scion FRS, iQ, tC, xA, xB & xD. Choose from Scion Lowering Springs by B&G, D2 Racing, Eibach, K Sport, H&R, Hotchkis, Sprint, Progress, ST Suspensions, Tanabe, Tein & More. 05-10 Scion tC Coilovers. 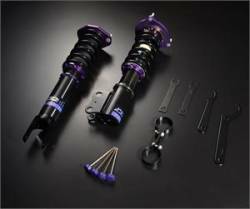 Adjustable Coilovers for Scion tC. 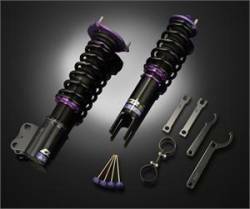 Height and/or Dampening Adjustable tC Coilovers are available. Choose from BC Racing, D2 Racing, Eibach, H&R, K Sport, Progress, Tanabe, Tein & More. 36 way dampening. 11-15 Scion tC Air Suspension Kits. Scion tC2 Air Suspension Kits from Air Lift, D2 Racing, K Sport and others. Air Suspension Kits for Scion tC2 are 100% Bolt-On systems for those looking for complete control over drop and ride on the fly! 11-15 Scion tC Coilovers. 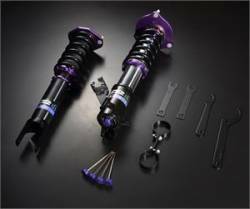 Adjustable Coilovers for Scion tC2. 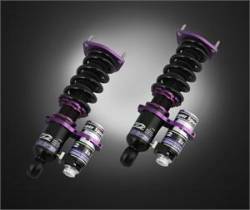 Height and/or Dampening Adjustable tC2 Coilovers are available. Choose from BC Racing, D2 Racing, Eibach, H&R, K Sport, Progress, Tanabe, Tein & More. 36-way Dampening. 04-06 Scion xA Coilovers. Adjustable Coilovers for Scion xA. 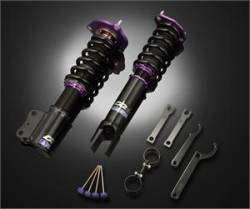 Height and/or Dampening Adjustable xA Coilovers are available. Choose from BC Racing, D2 Racing, Eibach, H&R, K Sport, Progress, Tanabe, Tein & More. 36 way dampening. 04-06 Scion xB Coilovers. Adjustable Coilovers for Scion xB. Height and/or Dampening Adjustable xB Coilovers are available. Choose from BC Racing, D2 Racing, Eibach, H&R, K Sport, Progress, Tanabe, Tein & More. 36 way dampening. 08+ Scion xB Coilovers. Adjustable Coilovers for Scion xB2. Height and/or Dampening Adjustable xB Coilovers are available. Choose from BC Racing, D2 Racing, H&R, K Sport, Progress, Tanabe, Tein & More. 36 way dampening adjustability.